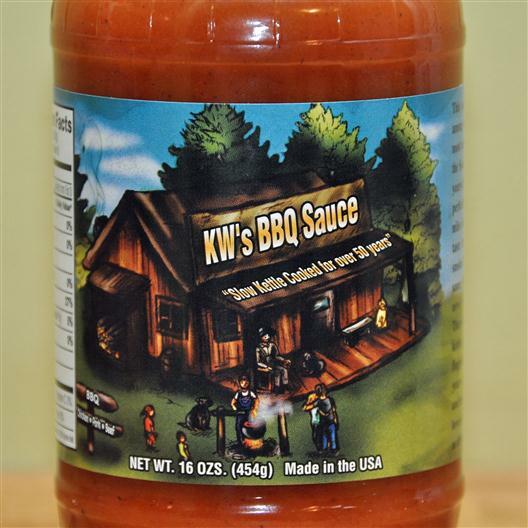 KW’s BBQ Sauce is a mustard/BBQ Sauce hybrid from Richardson Texas which tastes like a nicely balanced mix of a tomato based and mustard based sauce. It is named after it’s Texas-based founder, Keith Weeks. 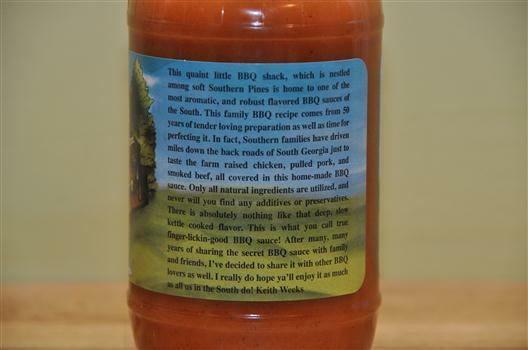 This sauce has some real potential and marketable qualities but in order to take this to the next level I would focus on the outside of the bottle. The uncooked flavor is good, a bit tangy like mustard but smoother mixed with tomato/vinegar/sugar. Nice and balanced. Don’t get any heat when uncooked. After cooking it has a nice transformation on the fire. The peppers heat up a bit when cooked and the sugars melt down a bit. It has a thin but natural consistency with a rusty color and specks of black pepper. The label design is cool (almost like a SIMs game) but can be improved. The bottle says “slow kettled cooked for over 50 years” and I all can think of is “Wow. Cooking your sauce for 50 years? That seems like a sure-fire way to overcook your sauce!” Haa haa. 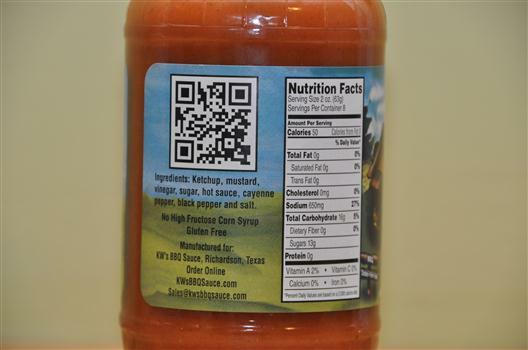 But looking at the rest of the label I find many marketable qualities which I think are more powerful than the history of this recipe, such as: all natural ingredients, no added preservatives, a low number of ingredients, gluten-free, HFCS-free. 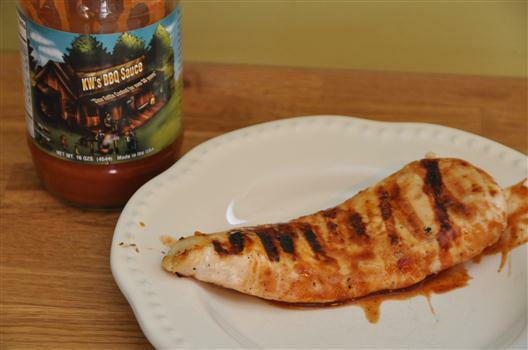 BBQ Sauce typically assumes a certain type of flavor and since this one is different (not thick, sweet, and smoky as most people assume BBQ sauces to be (a broad stereotype but generally true). This sauce needs to tell people it’s a mustard blended sauce with a unique flavor and highlight it’s all natural qualities in a subtle way. Sounds perfect to me, It sounds like a perfect balance, cant wait to try it. By the way up to 680 bottles in the collection. Actually have people coming to see it!